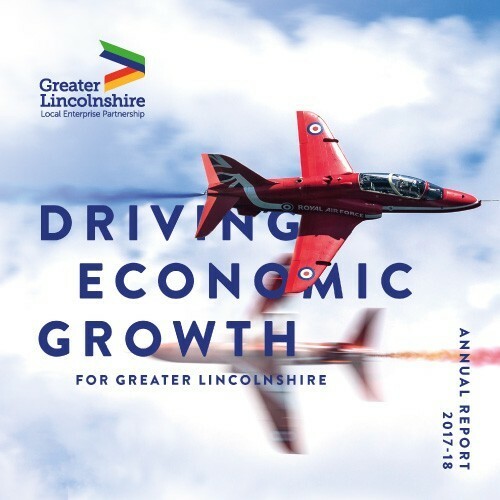 The Greater Lincolnshire LEP is one of 38 Local Enterprise Partnerships across the country set up by Government as partnerships between Local Authorities and local private sector businesses to drive economic growth. Optima design have proudly worked with the Greater Lincolnshire Local Enterprise Partnership since its formation in 2010 when we won the tender to create a logo and brand style which would represent Lincolnshire’s forward-thinking business community. The Greater Lincolnshire LEP works with the public and private sector to deliver sustainable economic growth. It lobbies government to secure funding for our region and offers support to business sectors to increase productivity and innovation, create new employment opportunities and develop infrastructure that supports the economic growth of the region. The original logo and branding utilised the bold colours from the Lincolnshire flag and took inspiration from key priority themes and sectors. The graphic device which forms part of the logo, often referred to as a ‘ribbon’, is actually based around the mathematical ‘greater than’ symbol to signify that Greater Lincolnshire can be a powerful force when all stakeholders group together. Our approach used the strong directional elements from the logo to establish the other brand assets and create recognition amongst the business community that this was a truly Lincolnshire focussed organisation that would effectively represent their needs in Whitehall. In 2016 we recognised the brand had been in place for 6 years and needed refreshing to reflect the rapid growth of the organisation, its changing priorities and increasing importance. 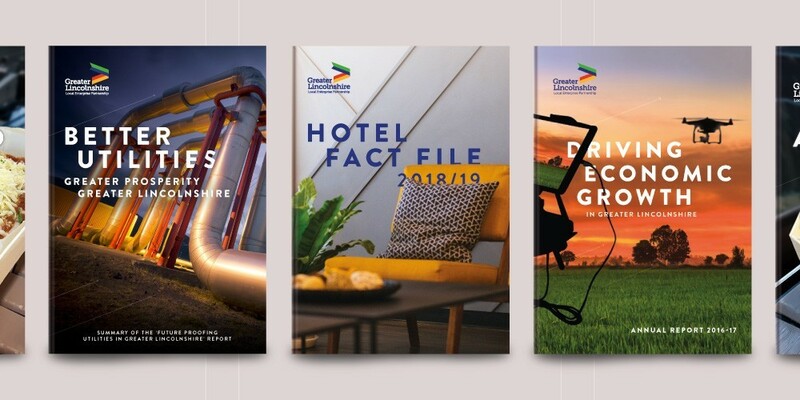 Whilst leaving the original logo untouched, we redeveloped the brand manual and revised the colour palette, fonts and graphic elements, giving the organisation a different direction to reflect the vision of the LEP’s Strategic Economic Plan. 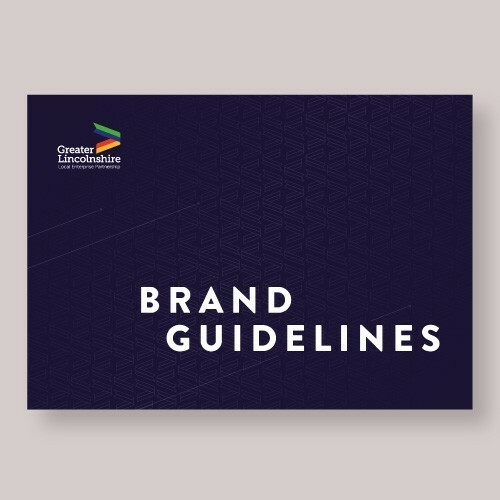 The brand guidelines were revised to become more comprehensive, yet at the same time more flexible, to allow design creativity whilst ensuring brand consistency. Taking a fresh approach to the LEP’s branding allowed us to step back, think and achieve a better balance to the overall visual style. The result gives a much more adaptable, robust and creative application across a wider range of media and collateral. Printed documents look modern, interesting and crucially, are very readable. As part of the rebrand, Optima decided it would be sensible to develop a set way of approaching printed documents so that going forward they would be efficient, quick and cost effective to create. 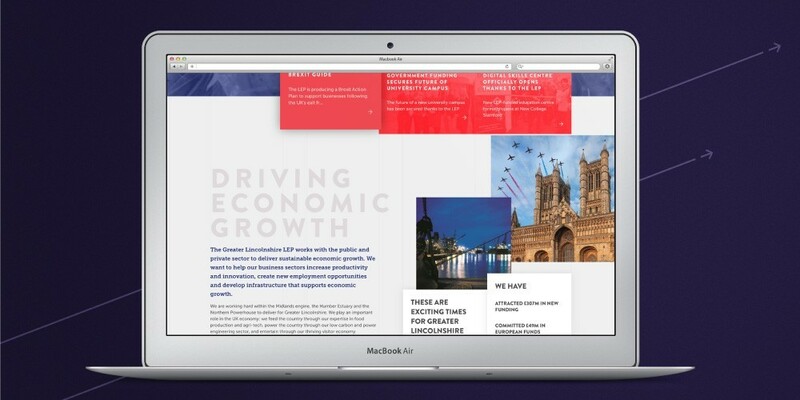 The Greater Lincolnshire LEP regularly produce a wide variety of printed and digital reports, plans and overview documents, so it was prudent to establish a well-structured method for creating them. 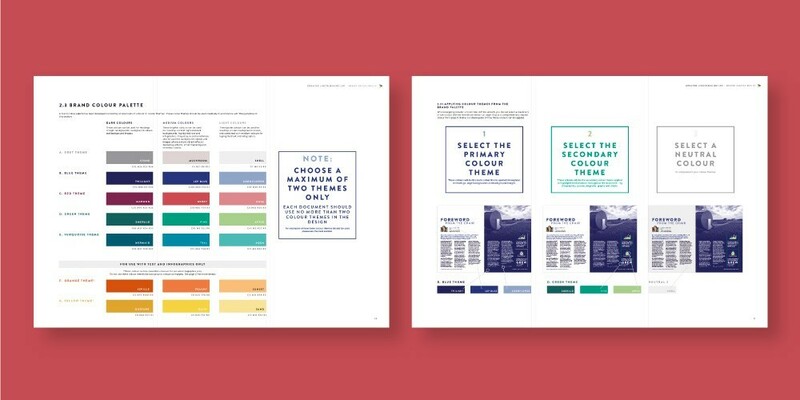 The method involves choosing one of the colour themes taken from the brand colour palette to be the primary colour theme of that document. This is applied throughout to text headings, page backgrounds and background images. A second colour theme is chosen from the palette as the secondary colour theme which is used to highlight information throughout the document - e.g. infographics, quotes, diagrams, graphs and charts. This colour process along with the brand typography and graphic elements allows each document to be consistent whilst also allowing each document to be different and easily identifiable. The rebrand in 2016 introduced a particularly dynamic feel to the visual style and this is strikingly demonstrated across the range of new digital collateral. A new responsive website and a suite of e-mail marketing templates were developed to continue to engage key stakeholders and help extend the organisation’s reach.